Over the years, transfer learning has received much attention in machine learning research and practice. Researchers have found that a major bottleneck associated with machine learning and text mining is the lack of high-quality annotated examples to help train a model. In response, transfer learning offers an attractive solution for this problem. Various transfer learning methods are designed to extract the useful knowledge from different but related auxiliary domains. 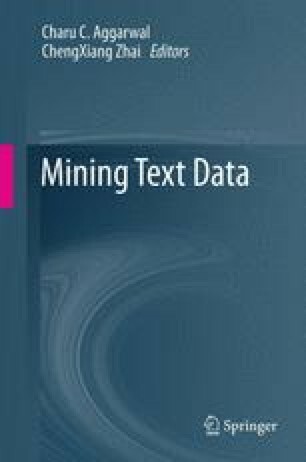 In its connection to text mining, transfer learning has found novel and useful applications. In this chapter, we will review some most recent developments in transfer learning for text mining, explain related algorithms in detail, and project future developments of this field. We focus on two important topics: cross-domain text document classification and heterogeneous transfer learning that uses labeled text documents to help classify images.